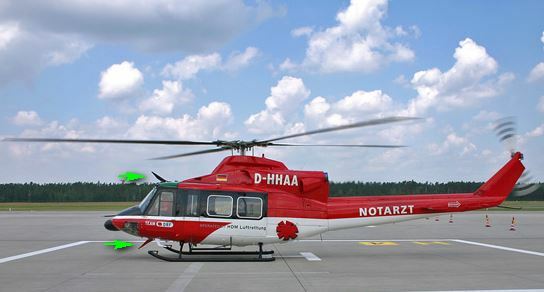 What is the purpose of this helicopter fin antenna? I'm an airplane guy, but I've got a quick helicopter question. I've seen a few helicopters with what seems to be a fin shaped antenna on the middle of the fuselage just above the windshield. I've also seen them just below the cockpit. And sometimes there's two antennas, one above, and one below. Just curious what its purpose is? It can be quite difficult to see as the big fin in the first photo is a wire cutter and it seems that the arrow points to that. The second photo shows it a little more clearly. It is a wire cutter. Not the answer you're looking for? 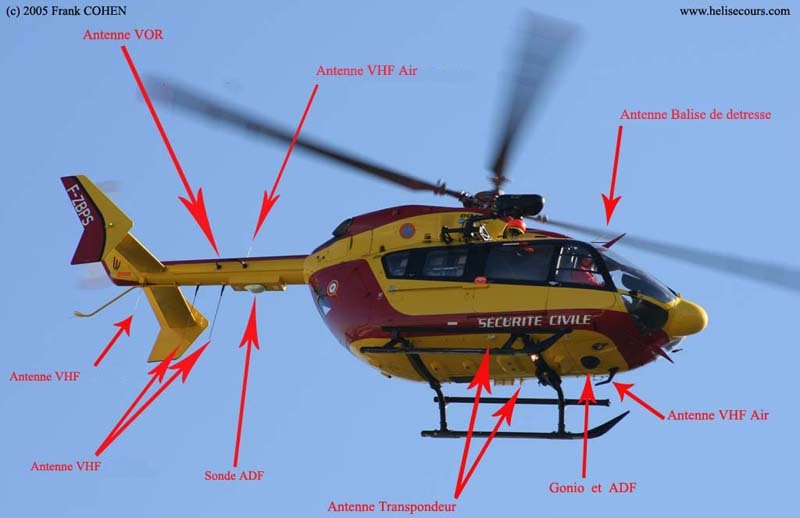 Browse other questions tagged helicopter feature-identification or ask your own question. What are these parts on STOL/bush planes? How is this rotor setup flying? What is this pipe on the tail of this helicopter? How does a student pilot learn the process of pre-flighting a Robinson R22?